How does one define a font to use for WindowBlinds. I find a lot of users having problems with how fonts are defined in a WindowBlinds skin. It’s quite simple once you understand it how it’s done. 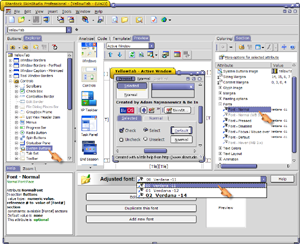 WindowBlinds bases on the premise that most of the skins use just a small number of font variants but use them in a number of places, meaning that one font setting will be used in a number of places like a push button, a tab, a status bar. A font setting in SkinStudio is called “font preset” and is a set of font name, size and formatting as well as its shadow settings. When you think of it in the terms of any word processor a font setting is not different from “styles” used e.g. in Microsoft Word. And they are equally as useful! in contrast to MSStyles where you define the font for every control or its sub style in WindowBlinds you only define it a few times and then use them in multiple places. What’s better… if you decide to change the font in a style, do it only once for the style and WB will change it everywhere the font is used! Let me show you how it’s working on a sample skin for a push button. 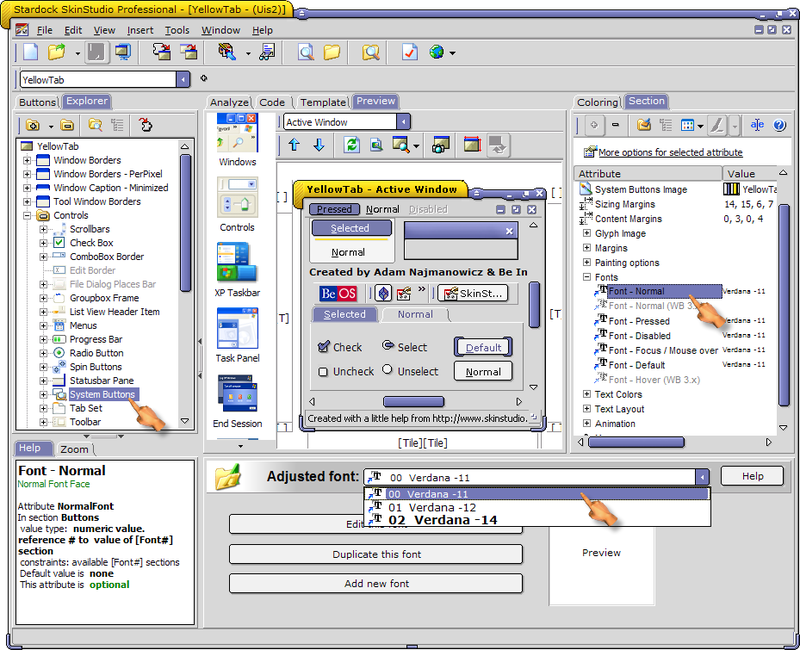 Every control section has a font setting (at least one) in most cases grouped in the “Fonts” subgroup in its section section. Where’s that “File dialog… *something*” section? Another feature that you may find helpful in your day to day skinning. It all started with another brain-freeze today. I just couldn’t find a section that contained the File Dialog places bar images. You know the bar on the left on the File->Save and File->Open dialogs? I bet you’ve been cursing more than once searching for a section like that. SkinStudio will help you with searching for a section if you know it’s UIS name or its part AND if such section actually exist. But in my case it didn’t. Wouldn’t it be great if I could just lookup the section by it’s name or a part of it? So I’ve added a tool button like you can see on the image below. You are currently browsing the Codality weblog archives for September, 2005.